Perfect for anyone with insatiable wanderlust. For most of last term, I was lugging my university books around in a shoulder bag that just didn't suit academia - it was cute, but definitely not built to handle the battering of books which it received. 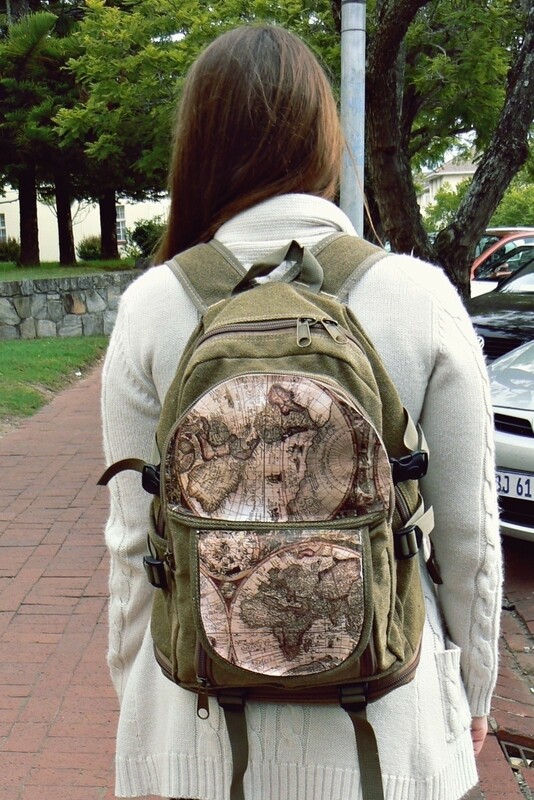 Over my brief vacation at home, I decided that it was a better idea to invest in a backpack - but instead of finding one I liked only to meet someone else with one identical, I opted, as usual, for a DIY. Make sure that your bag has a flat area on which to place your map. 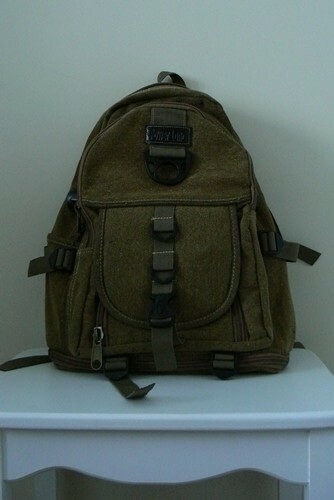 I had to remove a bunch of plastic buckles and straps from mine to achieve this, so don’t let that put you off! 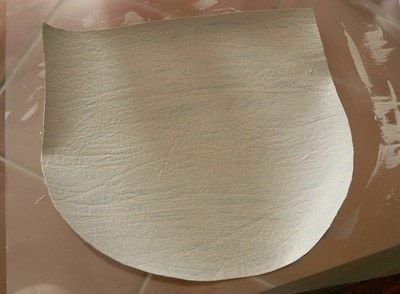 Cut out the size and shape of the area on which you want your map from the leather or faux leather (mine was in two sections, so I had two pieces of faux leather, which I painted with a base paint of acrylic paint first, though this isn’t completely necessary). 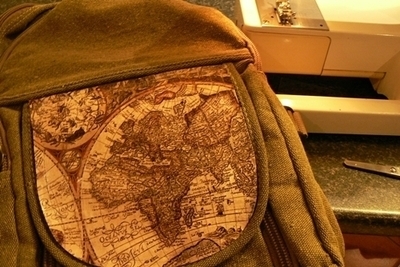 Modge-Podge your map onto the leather or faux leather, ensuring that it is completely stuck down and secured. Cover the map in another layer of Mod-Podge and wait for it to dry completely. Sew the leather or faux leather onto the backpack, covering the appropriate section.